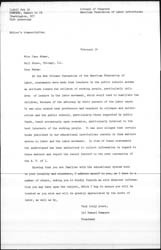 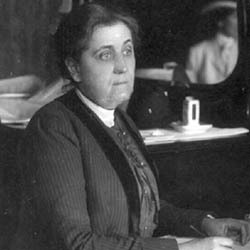 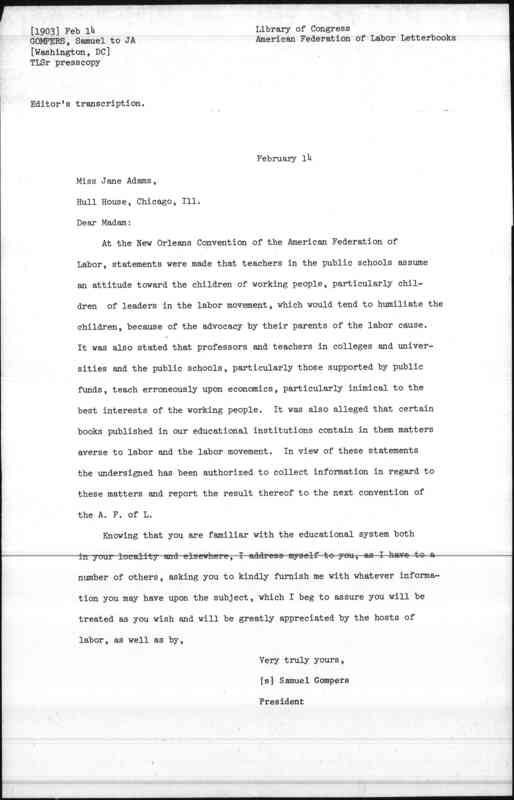 At the New Orleans Convention of the American Federation of Labor, statements were made that teachers in the public schools [assume] an attitude toward the children of working people, particularly children of leaders in the labor movement, which would tend to humiliate [the] children, because of the advocacy by their parents of the labor cause. 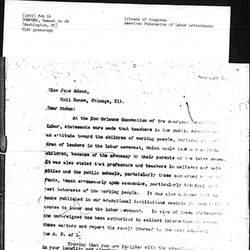 It was also stated that professors and teachers in colleges and universities and the public schools, particularly those supported by [public] funds, teach erroneously upon economics, particularly [inimical] to the best interests of the working people. 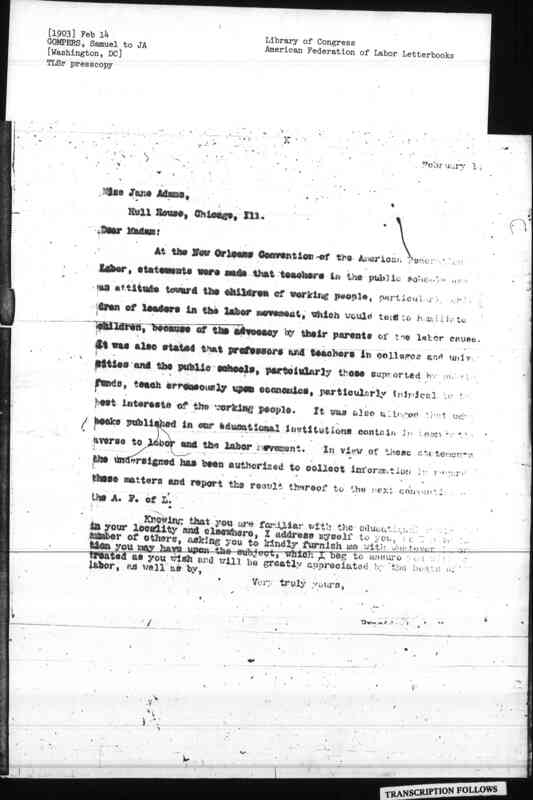 It was also [alleged that certain] books published in our educational institutions contain [in them matters] averse to labor and the labor movement. 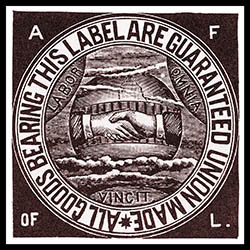 In view of these statements the undersigned has been authorized to collect information [in regard to] these matters and report the result thereof to the next convention [of] the A.F. 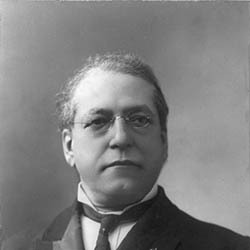 of L.
Gompers writes regarding the American education system and its attitude towards children and labor. 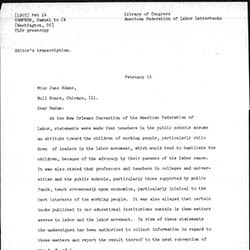 He requests that Addams send him any information relevant to the issue. 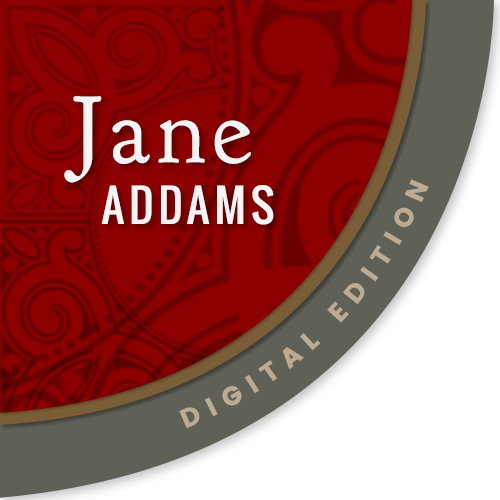 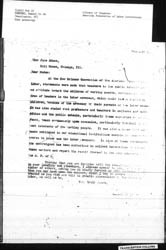 Gompers, Samuel, “Samuel Gompers to Jane Addams, February 14, 1903,” Jane Addams Digital Edition, accessed April 25, 2019, https://digital.janeaddams.ramapo.edu/items/show/758.